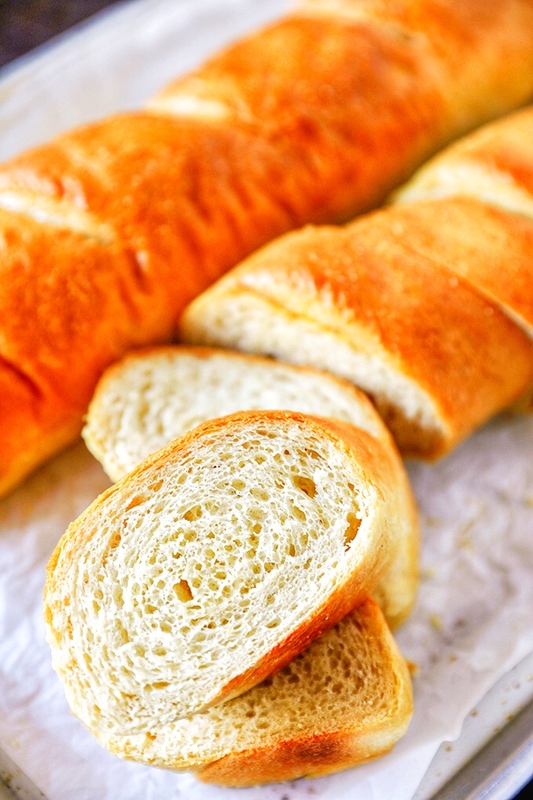 This homemade French Bread Recipe is so easy to make and absolutely delicious. 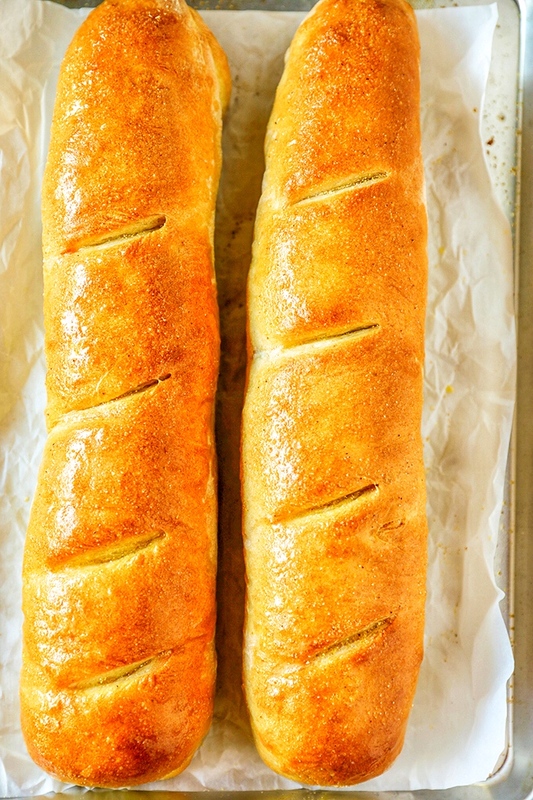 Soft, fluffy homemade French bread with a delicious golden brown crust, this simple homemade bread does not disappoint. 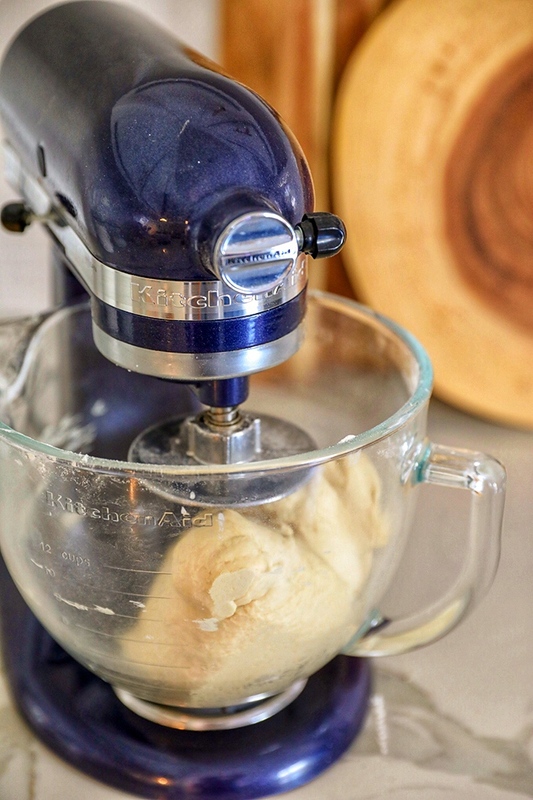 To keep this French bread recipe simple, I like to use a stand mixer as much as possible. I use the bowl and the dough hook to mix and kneed the dough, and I use the same bowl to let the dough rise. Easy peasy! You can mix and kneed by hand, just increase the kneading time to 10 minutes. 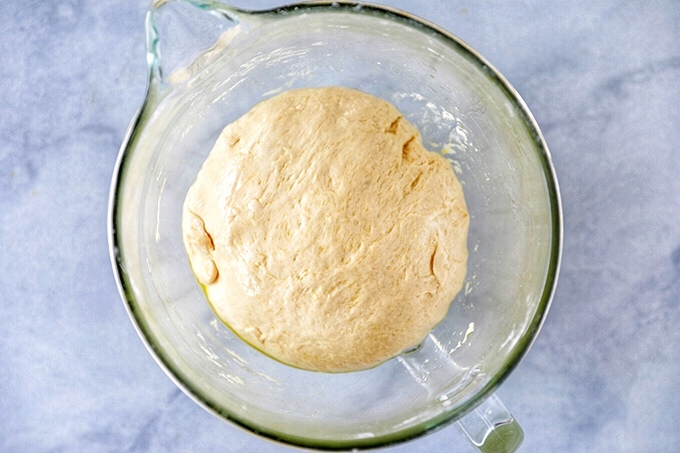 Start by letting the yeast activate with warm water and a teaspoon of sugar in the bowl of the stand mixer. The water needs to be between 100-115 degrees Fahrenheit. If the water is too hot, it will kill the yeast before it can activate. Then add in salt and bread flour. Let hook stir to combine, then increase speed to medium high and knead dough for about 5 minutes. 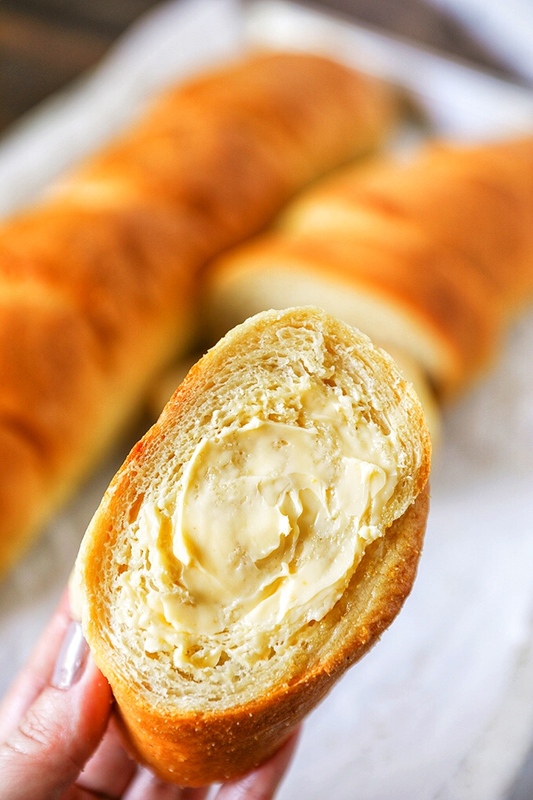 Drizzle bread dough lightly with olive oil and turn to coat. 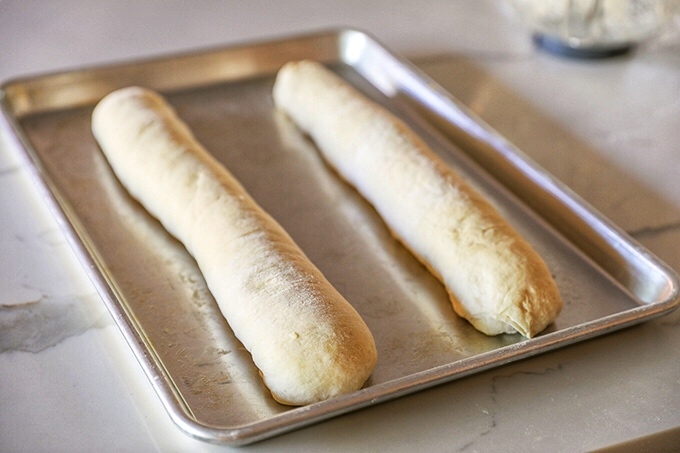 Divide dough into two portions and lightly roll out into a rectangle shape. Roll dough into a log, cinnamon roll style, starting from the farthest long edge and pinching seams together. 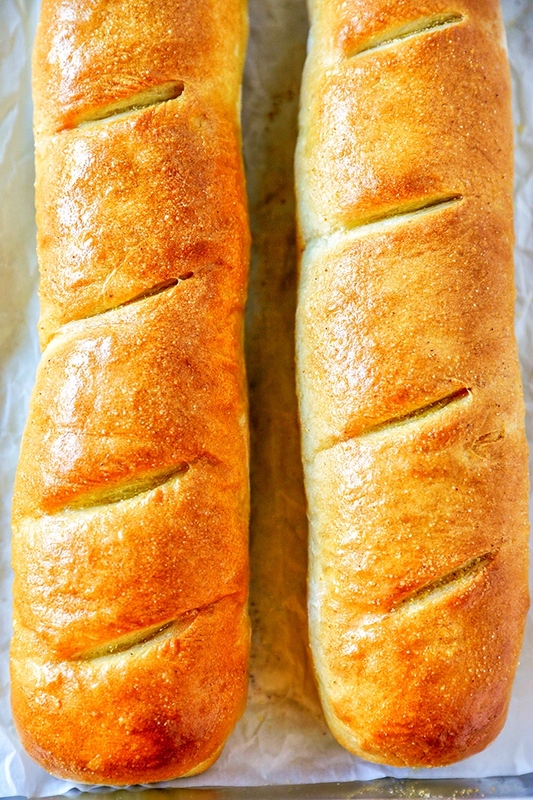 Place loaves, seam side down onto a baking sheet sprayed with nonstick cooking spray. Let rise again for 30 minutes. While loaves are rising, preheat oven to 450 degrees. Make four diagonal slashes across top of dough and sprinkle with cornmeal. Bake for about 20 minutes, or until loaves are a light golden brown. 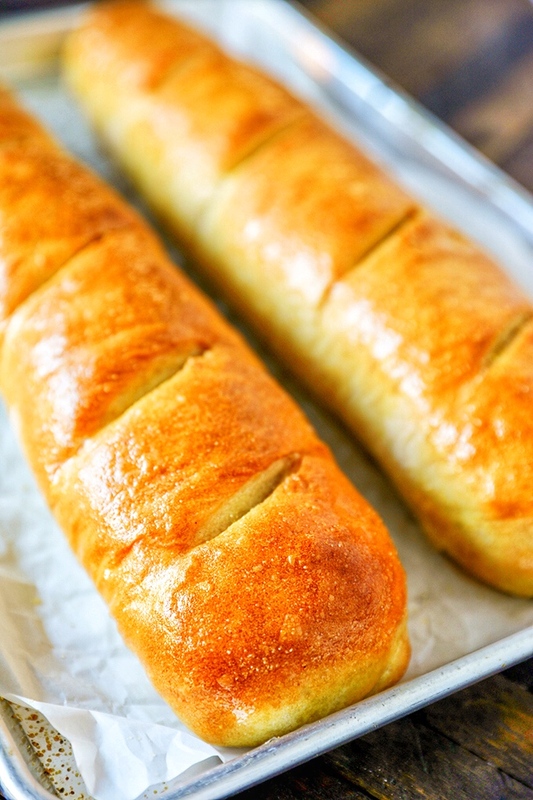 For a show stopping glistening loaf, brush lightly with warm melted butter right before serving. Homemade Bread! 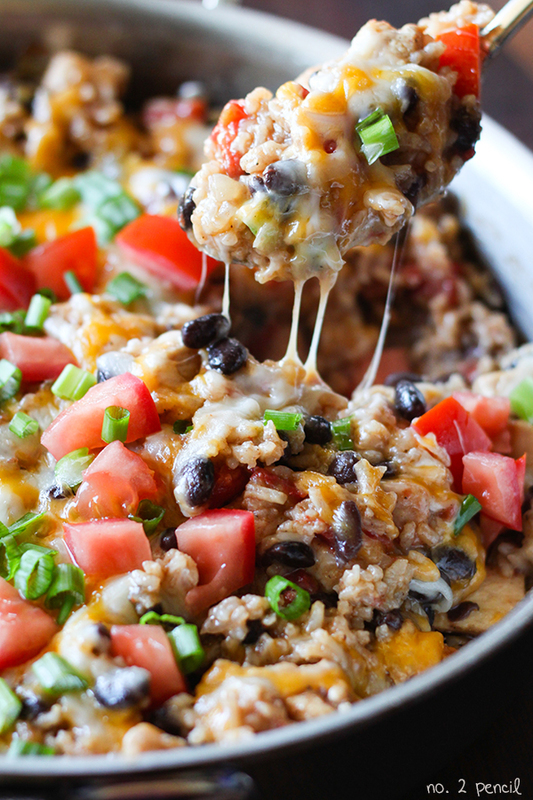 It’s easier than you think and elevates any dinner to a special meal. We served this with my Instant Pot Pot Roast and it was perfect for dipping! 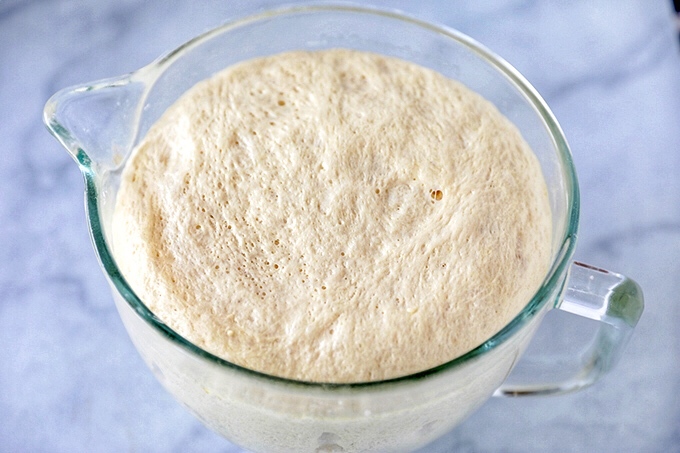 In the bowl of a stand mixer fitted with the dough hook, combine yeast, warm water and sugar and let set 1-2 minutes to activate yeast. Add salt and bread flour to bowl, mix on low speed until combined, then increase speed to medium high and kneed dough for another 5 minutes. Remove bowl from mixer and drizzle a small amount of olive oil over dough, turn to coat. Cover bowl and let rise for one hour. Gently punch dough down and turn out onto lightly floured smooth surface. Divide dough into two portions. 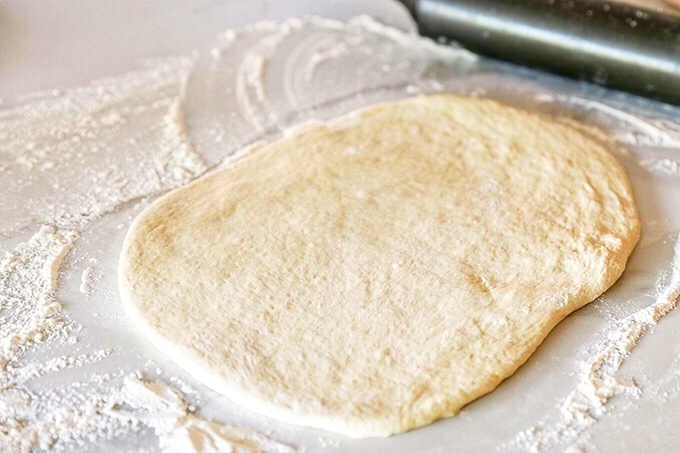 Use a rolling pin to gently roll dough in a 12 inch long rectangle. Starting with furthest long edge, roll into a long loaf shape, cinnamon roll style, pinching seams together. 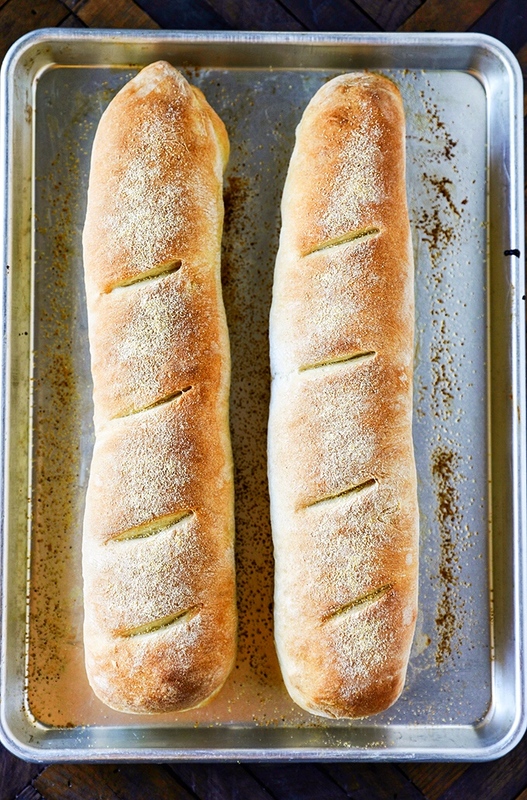 Place both loaves seam side down on baking sheet. Lightly cover and let rise for additional 30 minutes. While loaves are rising, preheat oven to 450 degrees. Use a sharp knife to score loaves diagonally. Sprinkle with cornmeal and bake for about 20 minutes, or until loaves are a light golden brown. Let cool slightly before slicing. Optional: Brush with warm melted butter just before serving.